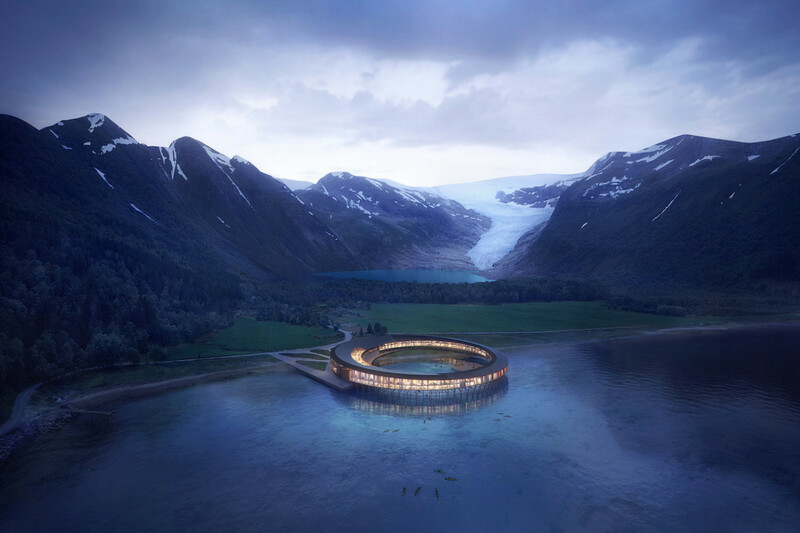 International architecture firm Snøhetta just revealed its latest concept, “Svart,” the world’s first Powerhouse hotel situated just above the Arctic Circle. 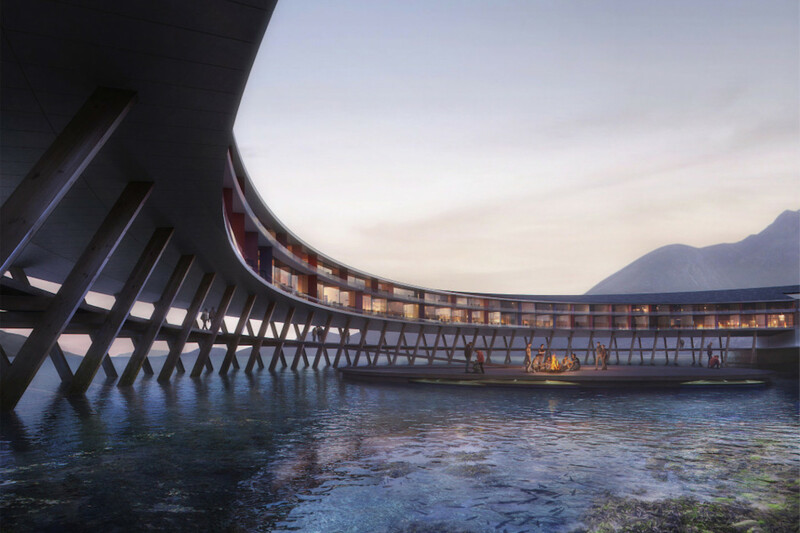 This building, built with an emphasis on sustainability, has a yearly energy consumption reduced by approximately 85% compared to a modern hotel and is able to produce its own energy. 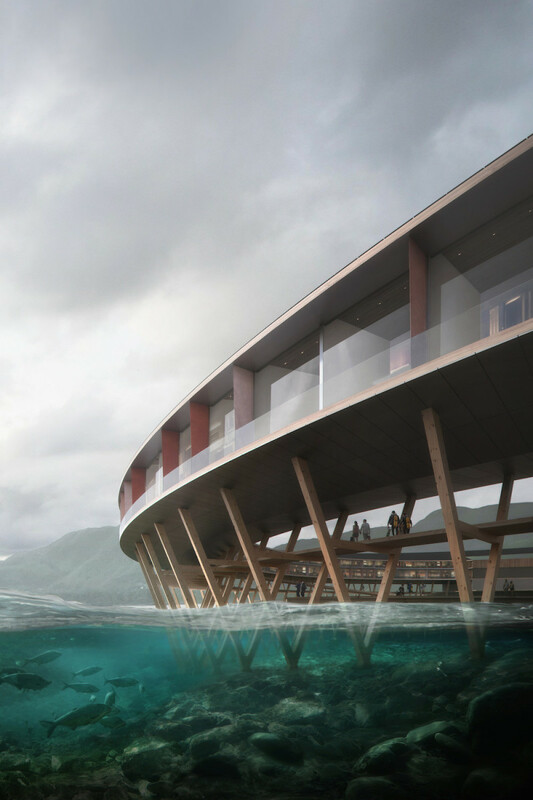 With its spectacular circular shape, that extends from the shoreline to the waters of the Holandsfjorden fjord, the hotel, inspired by the form of the “fiskehjell” (A-shaped wooden structure for drying fish), and the « Rorbue », a traditional fishermen’s seasonal house, is a masterpiece of architecture. Find more on the firm’s Instagram.